Penelitian - South Korea will push to expand the use of drones to monitor illegal fishing and marine littering in waters around the nation, the oceans ministry said Monday. The Ministry of Oceans and Fisheries said an internal venture team set a goal of utilizing 500 unmanned aerial vehicles by 2022 to effectively monitor offshore illegal activities. The ministry said it will dispatch three drones to monitor illegal fishing activities next year on a trial basis before moving to develop unmanned aircraft with longer ranges by 2022 and establishing a monitoring network. 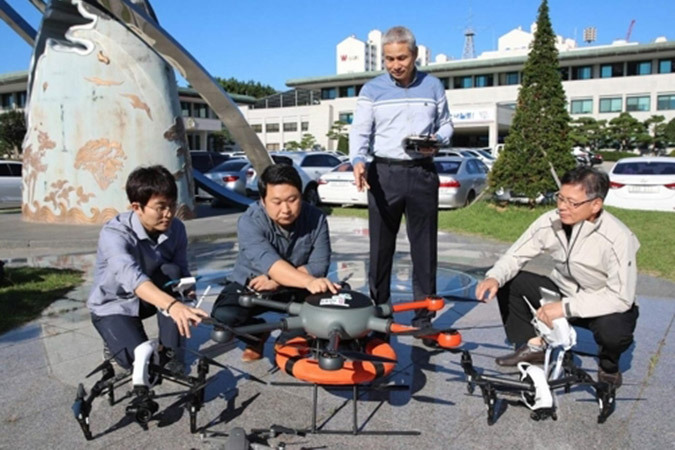 As the first step, the ministry plans to launch test programs in five major ports -- Busan, Incheon, Yeosu, Mokpo and Ulsan -- in 2019 and increase the number of drones to 50 in 2020.